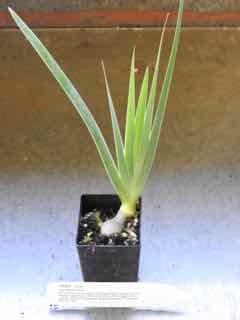 Orris plant, Iris florentina, is sometimes known as Florentine Iris or Orris Root. The Oil of Orris is used as a fixative in the manufacture of perfume. Violet scented flowers are white, with blue veins and fringed with yellow. Flowers appear from spring to summer. Used in pot pourri. Medicinal uses under supervision. Note: both the fresh leaves and root are very toxic if ingested. Orris plant is a native of Europe and prefers moist, rich, well drained soils in an open, sunny position. Frost resistant but drought tender. A perennial, growing to 1m x 0.75m. Be the first to review “Orris, plant” Click here to cancel reply.